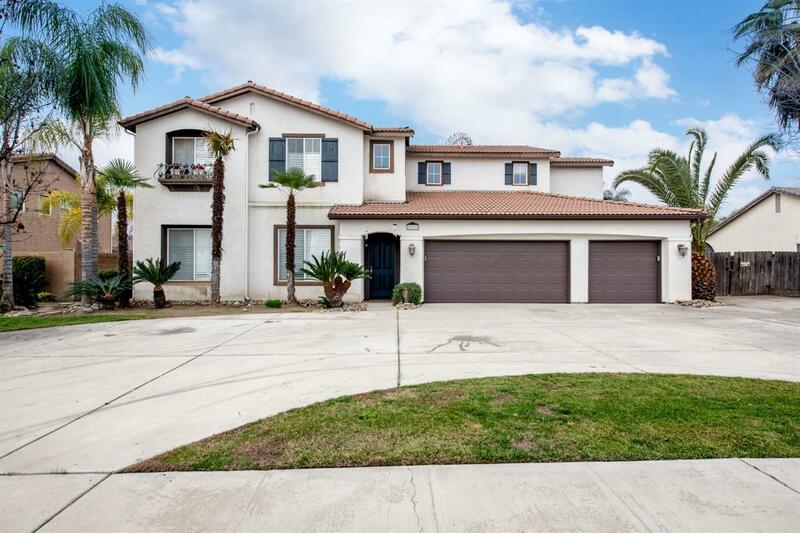 Welcome to this beautiful home desirably located in the heart of Kingsburg, within minutes of shopping, dining, & schools. Enter the home to enjoy the open concept floor plan, fully equipped w/ 9 ft ceilings, double insulated walls, & dual pane windows promoting natural light flowing throughout the home. As you walk through the family room into the kitchen, you'll notice the kitchen boasts a center island, stainless steel appliances, & a pantry. The living room features a beautiful tiled fireplace & french doors heading to the backyard. Upstairs, you will find brand new carpet, a spacious loft, & a computer/office area. Unwind after a long day in the master bedroom, ready w/ an ensuite bath, featuring a walk-in closet, vanity with two sinks, separate shower & soaking tub. Outside, enjoy the covered patio, large lawn area, orange trees, banana trees, a storage shed, & RV/boat parking. The tandem garage offers 4 parking spaces as well as the generous driveway. Contact our team today!